MUSE is the best new Australian indie work we’ve seen this year. Written and directed on the Sunshine Coast by Simon Denver after XS Entertainment’s Sam Coward challenged the playwright at the poker table one night to write something new and irresistibly real, this darkly comical piece dives deeply and unapologetically into human nature, hook-ups, marriage, lies, loyalty and the world of live theatre, capturing our imaginations and clenching its fist around our hearts. Honest, unsettling and a catalyst for some of the most interesting conversations you’ll ever have with your lover, MUSE is the very best sort of provocative performing arts. Upcoming at Brisbane Powerhouse is Wax Lyrical’s production of Jason Robert Brown’s The Last Five Years, which also looks at the dissolve of a relationship. And there are many other good works that explore the jealousy, resentment and resignation leading to the end – or not – of a relationship. Where MUSE differs from what we’ve seen before is that it’s violently articulate and neatly structured, offering a balanced view of the issues, inviting us to join these individuals on their journeys and at the same time, reflect on our own lives and loves. An unexpected theatrical device is cleverly incorporated to make us consider how much of what we tell ourselves and our partner is actually reality and how much is fantasy. So much of what might seem like a good idea at the time is complicated and also, outside of society’s norms. Denver’s text questions why we do what we do, juxtaposing human nature and free will against a traditional view of marriage and monogamous relationships. Set within a theatrical context, two weeks before a classic play goes up and the leading players become entangled in an illicit affair, MUSE avoids cliche and draws on truth. Denver is a keen study of human behaviour; in this work you’re sure to recognise aspects of yourself or someone you know. Refreshingly, Denver presents all sides of the story and also, fully drawn female characters – the actor-turned-academic wife, Jemma (Mel Myers) and the free-spirited leading lady, Ngaire (Rachel Fentiman) – rather than the token women we’re so used to seeing, still, on our stages and screens. While Jemma flails alone at home beneath a stack of undergraduate essays and an endless supply of red wine, her husband, Kris (Brett Klease), is enjoying post-rehearsal drinks with his free-spirited millennial leading lady, Ngaire. When things come to a head, Jemma confronts Kris and then Ngaire, and the terms of engagement are settled over a couple of unsettling scenes. Kris turns to his geeky gamer/coder brother, Julian (Howard Tampling), only to hear from him the voice of reason and the loyalty line he wishes he could tow too. Meanwhile, the director of the play within the play (Adam Flower), just wants to put on a good show. Sans production values (we know it’s been produced on the smell of an oily rag) the work speaks for itself. While there’s some effort to make in terms of taking it to the next level (some of the musical choices to bookend scenes are a little too obvious and a design aesthetic is less so), MUSE is the most intriguing and moving night at the theatre this year on the Sunshine Coast. SRT must be encouraged to seek further support for a return season next year, or a move sideways in the ecology, which will allow a broader audience to experience the beauty, tragedy, hope and truth of MUSE. 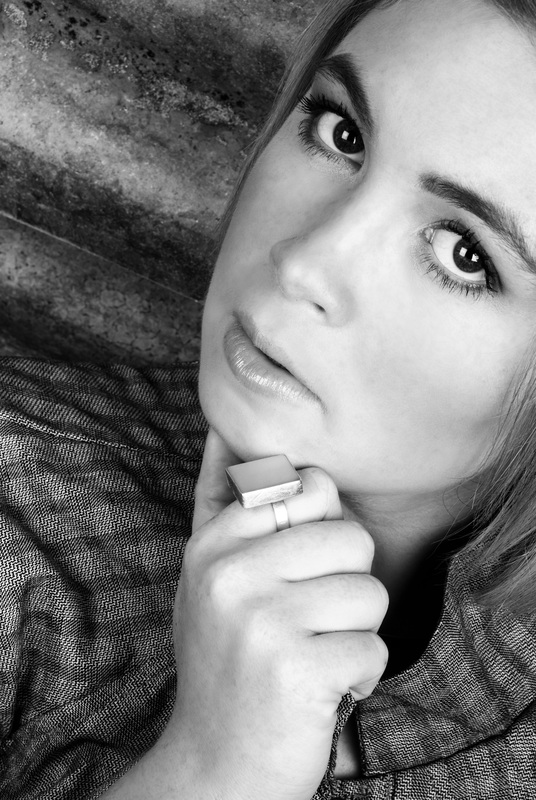 We caught up with Anna McMahon, the only chick on the jobsite at Job’s Right – The Second Coat! What’s Job’s Right – The Second Coat about? 7 years after Job’s Right…another day…another worksite….another client….another stuff up! How did you find yourself in this show? 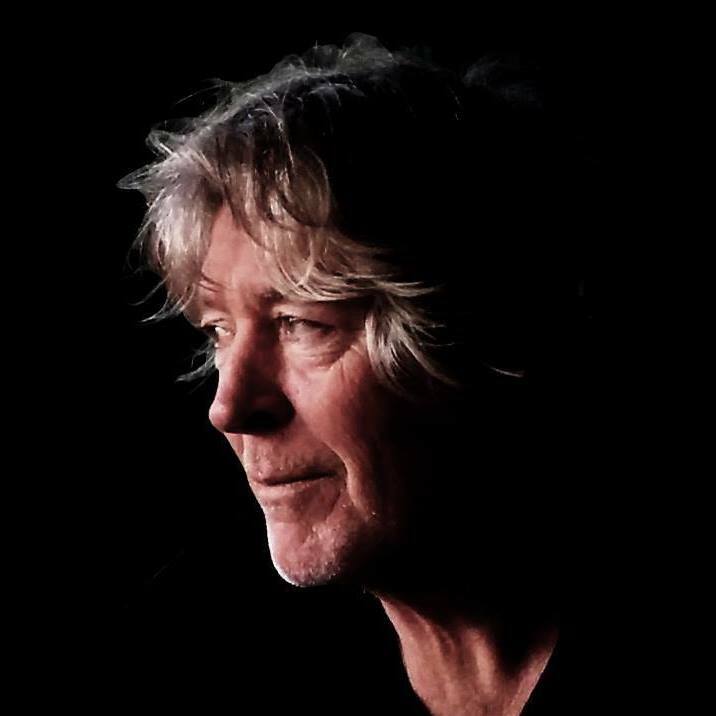 I am very lucky to say I was privileged to have worked with the talented Simon Denver and SRT last year in Rock In The Water – another successful SRT show winning over 30 awards around the 2014 South East Queensland Festival Circuit. Any excuse to be part of this company and their slick productions. That is a very good question….having seen the first installment I certainly knew what I was in for! But if anyone had seen the first Job’s Right, they would remember from their belly hurting after laughing so much! My role is only 1 of 2 female characters…and all I can really say is….I am a female Chippie with a very, very bad attitude. How did you prepare for the role? For working with a cast of all males except for “Aunty Joy”? The wonderful thing about working with SRT is they are all about Team. For a faultless machine to work, one must trust, do what they are told and work hard…and the result is always something to be proud of. I have worked with these men and Aunty Joy a couple of times now…and I would always do it again in a heartbeat! Describe the rehearsal room & rehearsal process. Whether it be in Aunty Joy’s living room, spare back room, around her outdoor table, Brett’s outback shack, verandah or lounge room….SRT fits in spaces of all shapes and sizes! The rehearsal process is a fun one – all about comradery, trusting who you work with and making a commitment to your team. Tell us about working with SRT & Job’s Right Productions. An experience I would do again and again and again. SRT is professional to the letter, and Job’s Right Productions certainly are not any different. Tell us about touring and why it’s important to take this show on the road, to three different venues on the Sunshine Coast. 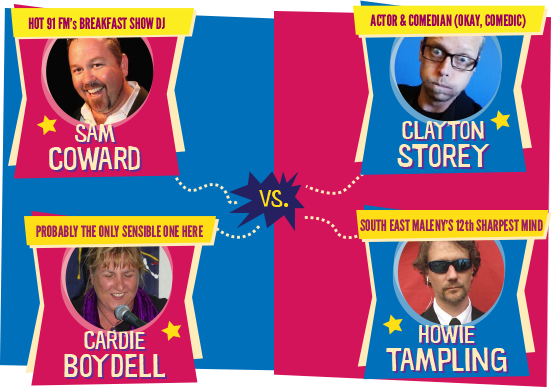 A professional show performed by professional actors on the Sunshine Coast at affordable prices…what more can I say? If Mohammad won’t come to the Mountain, take the Mountain to Mohammad…if the audience don’t hear about Job’s Right, we will shout louder! Oh…and you will laugh until it hurts. 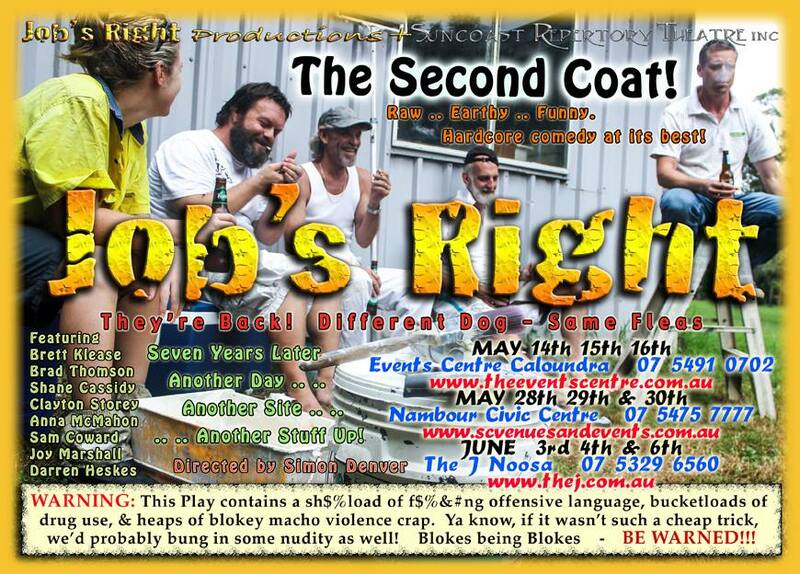 Why should we see Job’s Right – The Second Coat? What do audiences love about it? Right from the voiceover at the beginning of the show…you are in for a treat! 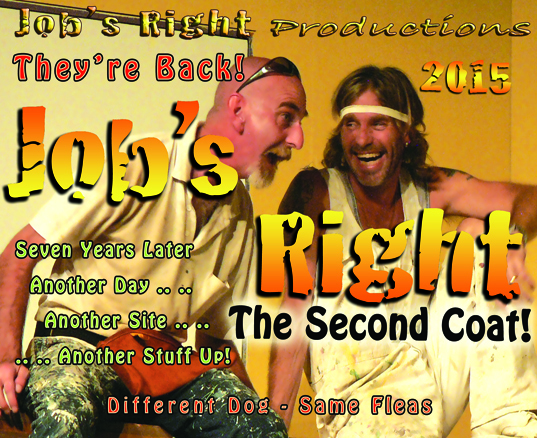 If you like a good laugh, you cannot afford to miss Job’s Right –Second Coat! What sort of theatre do you want to see continue being made on the Sunshine Coast? The same opportunities and standards that Brisbane and Sydney have should exist on the Sunshine Coast. The talent is evident, the need is there…no excuses Queensland, it’s time for our Coast to shine with the rest of them. How does performing fit in around your other life as a teacher? My life is a stage, my passion is theatre….when you have feelings like this, you just make it fit. What do you think performing does for other areas of your life, like teaching, meeting people, etc? Performance and The Arts is who I am as a teacher. That is my greatest strength in the classroom. Who doesn’t remember that teacher who told jokes, used funny voices, dressed up, told stories and made learning fun and engaging. Taking you on a learning journey to remember. 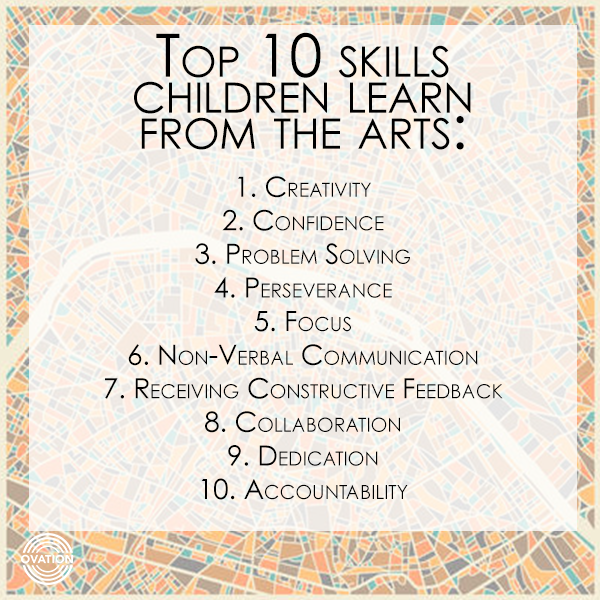 It’s also not just about what it gives me but what the Arts gives kids. Well what I WANT to do next…that’s quite an easy one….is to be a regular on Playschool. What am I going to do next in the meantime? 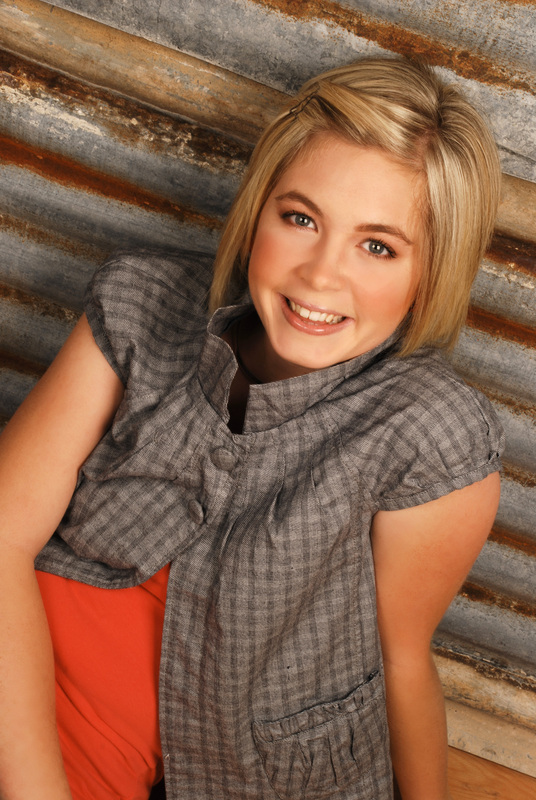 Just keep swimming….acting…performing….teaching. After their sell-out season at The Events Centre, Caloundra, we caught up with Sunshine Coast based Writer & Director of SRT, Simon Denver. 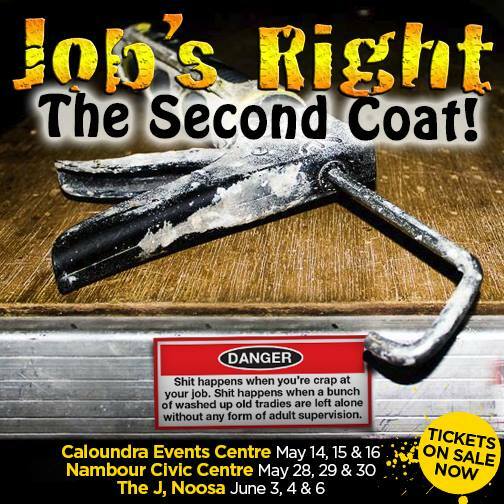 Job’s Right – The Second Coat hits Nambour (May 28, 29 & 30) and Noosa (June 3, 4 & 6) next! The client wants “an oasis of calm” so the boys (and girl) do their level best to oblige. But something is lost in translation and anything that can go wrong GOES WRONG! 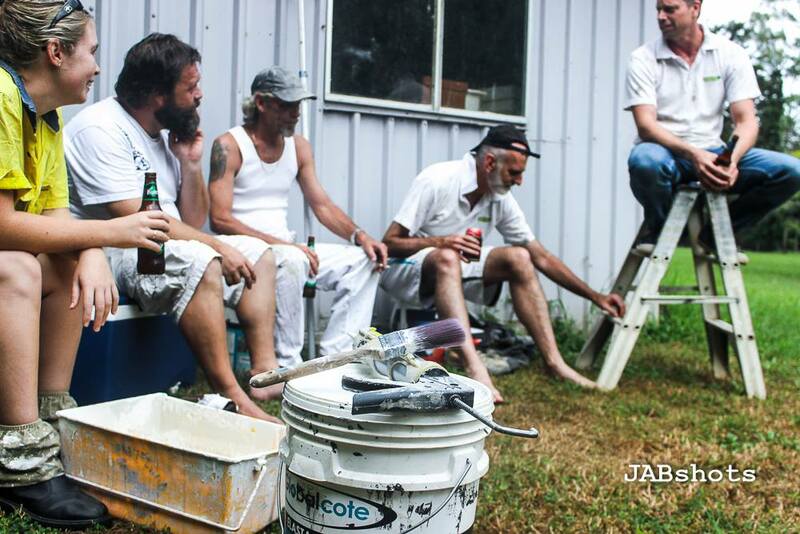 Simon, tell us about Job’s Right – The Second Coat. 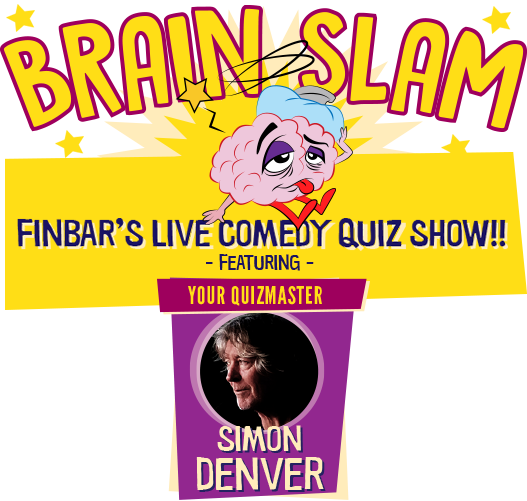 A brutal, gladiatorial onslaught – that just happens to be really funny! There are 30, 000 job sites in Australia. This is none of them yet it’s all of them. A no holds barred, warts ‘n all look at Tradies. It contemptuously ignores the lines in crosses. Job’s Right was a smash hit the first time around. To what do you attribute its success? It struck a chord with so many people – especially Tradies. Brave, Raw, Earthy and Funny. What else have you been doing? 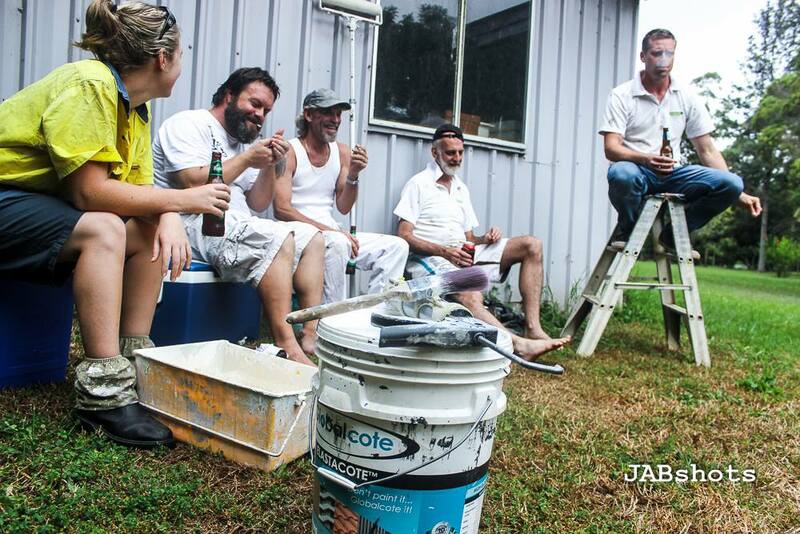 Why did it take so long to bring a second job site show to the Sunshine Coast? Timing mainly. Everyone has a full life and it takes a while to line them all up. Besides, We kept this junk yard dog on a short chain for as long as we dare. It’s nasty. It’s hungry, it’s a bit stir crazy! Perfect time to let it off the chain. You’ve used a few of the original actors but who’s new? How did you find them? How do you cast a show like Job’s Right? You cast it with great care. The engine house of this show is the gang of painters. Three of these were in the original production. In fact, of the cast of eight, four were in the original. We looked for the chemistry first. We see a lot of shows locally every year so we are very aware who is out there. Watching someone perform is the ultimate audition. Tell us about SRT & Job’s Right Productions. For what sort of theatre are you known? I suppose you’d have to ask our critics that question. It’s very hard to be objective about our own work. I would like to think it is of a good standard though. What drew you to live theatre? What’s special about it? It’s in real time and there are no safety nets. Who is doing the sort of work you like to see? We’ve always liked brave or edgy material that pushes the envelope. But at the end of the day we like anything that is done properly. In the community theatre circles on the coast Noosa Arts Theatre is head and shoulders above the rest – always delivering a high production standard. 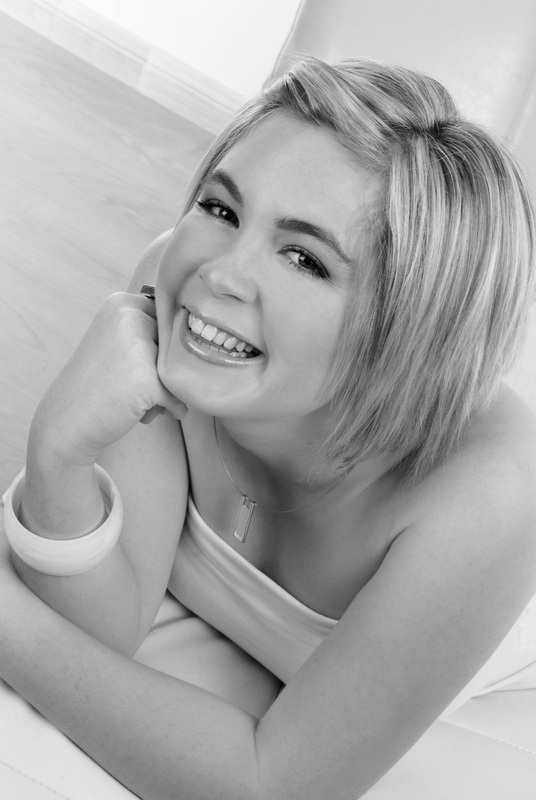 From the independent theatres XS Entertainment are blazing a very successful trail. What do we need to keep seeing (or start seeing) on stage in Australia? Works that are not held to ransom by the arts “Process”. Works that are not confined to the new economic paradigm of casts of four or under. Works that have not had to compromise by ticking the right boxes for funding! In short – works free of external agendas. Who has influenced your work (actors, directors, producers)? Everyone! Amateur or professional, good or bad, every show is a learning experience. Some totally reinforce what you should never do on a stage – some give you the inspiration to carry on. But we love any show that slaps us in the face and reminds us how much we have to learn. Tell us about the creative process – as actor / writer / director. This is genuine ensemble product. 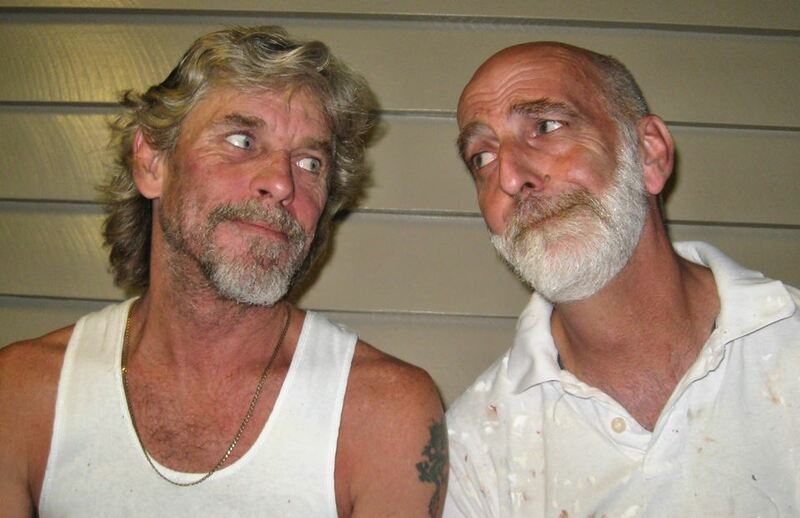 Brett (Klease) and I merely present a skeletal frame of a script and then the cast takes it and runs with it. Adapt and assimilate, personalise through consensus. The entire cast then have a sense of ownership with the end product. This is really reflected in the performances. They have to be brave. But then again – as Goethe said – boldness has a genius all of its own. Do you have some hot tips for aspiring actors / writers / directors? Learn to be ruthlessly truthful with yourselves. Learn to self edit. Be focused and disciplined – because only then does the real fun start. Who will enjoy Job’s Right – The Second Coat? Anyone who has a good sense of humour. Anyone who has had a gut full of the bureaucratic nonsense dictating what we can and can’t do, or laugh at. Probably spend the next three years in court fending off all those charges from those we offended too much!